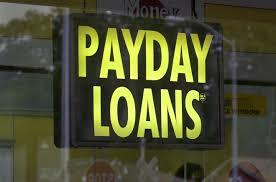 The Zarfin payday loans enable you to borrow between R500 and R10 000. Both the lower and the upper limit of the range may seem a bit high, but you will certainly be able to pick an amount which matches your needs precisely. You can take out enough cash for house repairs, appliance replacement or fixing the car. While the amount owed on classic payday loans is due on your next payday, the credit products offered by Zarfin work slightly differently. The loan term can be between 1 and 12 months. It depends on the amount of money which you have borrowed. A larger amount will result in a longer term. This will certainly make it easier for you to repay the loan. However, you have to take into account the extra costs associated with interest being charged for a longer period of time. The interest rates on the loans offered by this company are competitive and so are the fees. The company focuses on affordability. Still, it is up to you to decide whether the loan which you plan to take out will be affordable to you. The qualifying criteria are very basic. Even people who are blacklisted have good chances of securing a loan. However, they may have to pay a higher interest rate.